Historical and contemporary photography of the State of California. John Muir (21 April 1838 – 24 December 1914) was a Scottish-born American naturalist, author, and early advocate of preservation of wilderness in the United States. 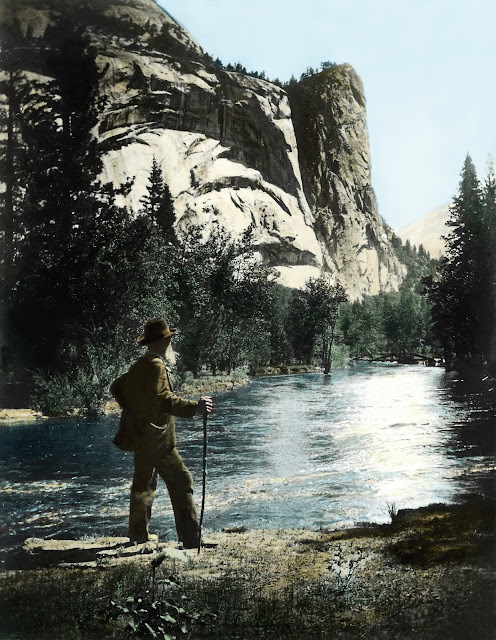 His letters, essays, and books telling of his adventures in nature, especially in the Sierra Nevada mountains of California, have been read by millions. His activism helped to save the Yosemite Valley, Sequoia National Park and other wilderness areas. The Sierra Club, which he founded, is now one of the most important conservation organizations in the United States. One of the most well-known hiking trails in the U.S., the 211-mile John Muir Trail, was named in his honor. Other places named in his honor are Muir Woods National Monument, Muir Beach and Muir Glacier. Hetch Hetchy Valley The floor of Hetch Hetchy Valley as it appeared in 1919, before the construction of O’Shaughnessy Dam was breathtaking. Note the tracks of the Hetch Hetchy Railroad. Before the dam could be built, access and transportation to the valley floor had to be established. Begun in 1914, the 68-mile railway was completed in 1917. Fed by a perpetual underground glacier, Hetch Hetchy offered a single source of water for the City of San Francisco. This aerial shows the construction progress of the dam that many claim 'broke John Muir's heart'. The initial 30 foot depth of the foundation for O’Shagunessy Dam increased to over 100 feet due to the dislodging of large boulders from the ancient glacier beneath the Valley floor. Two Cyclopean concrete blocks of stone measuring from one cubic foot to six cubic yards imbedded in plain concrete create the arch-style dam that counter-balances the pressure of the water. Physical construction of O’Shaugnessy Dam began in 1919 and was completed in 1923. 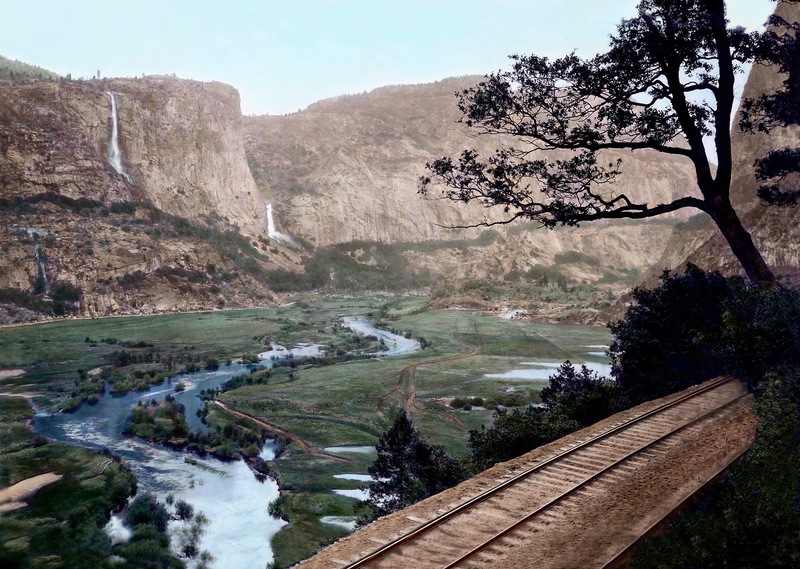 Preparations, however, began as early as 1914 with construction of the Hetch Hetchy Railroad, a 68 mile standard gauge railway completed in 1917 for $3 million. The railroad operated around the clock during four years of construction, hauling cement, supplies and men. Clearing of timber from the Valley floor began in 1915, removing 21 million board feet by 1924. When completed, O’Shaugnessy Dam stood 226.5 feet high from the Valley floor with a storage capacity of 206,000 acre feet of water. The first Hetch Hetchy drinking water arrived in San Francisco on October 28, 1934, two decades after initial construction began. In 1938, the dam was raised 85.5 feet enabling it to impound 360,000 acre feet of water. 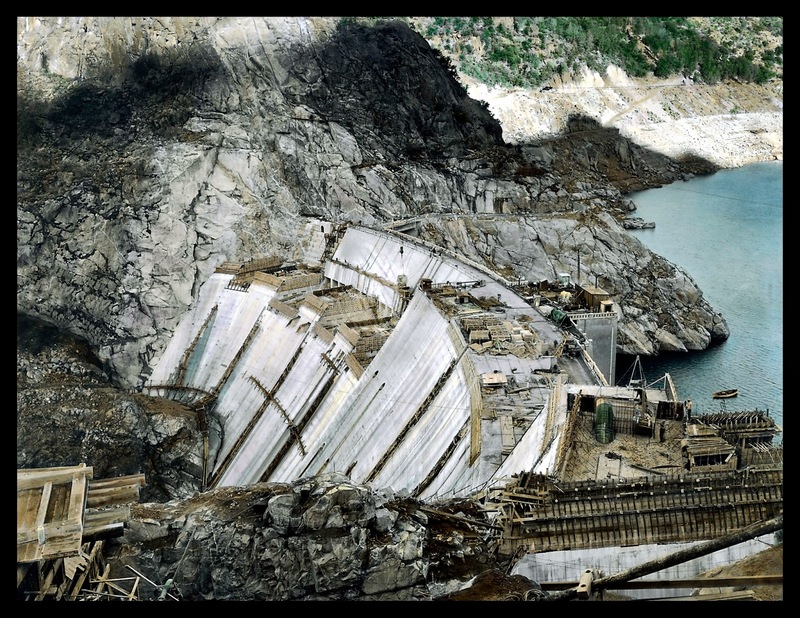 The total cost for the Dam, including the subsequent enlargement was $12.6 million. Fed by a perpetual glacier deep in the Sierra range, Hetch Hetchy water is the purest source of drinking water in the state of California. Today, the Alameda County Water District purchases nearly 40% of the county’s water from Hetch Hetchy. Generally I don’t learn article on blogs, however I wish to say that this write-up forced me to try. Your writing taste is amazing. Thank you, very nice article. Carry on the great work like this to inspire many people like me. Thumbs up for your efforts. Healthcare Website Design and Internet Marketing Solutions for Physicians and Surgeons in the America. Supplements For Fitness tissues. It is known that regular consumption of fish oil helps those suffering from chronic inflammatory diseases. It is also known to be effective in treating certain gastrointestinal disorders, as well as ulcerative colitis and . Legends Keto Doing a little something every Slim Trim day reduces the pressure and anxiety of completing a mammoth sized project. And while I know that it is easy to wish for abundant success to happen right now, all at once, it is actually much easier to allow abundance and success to come into your life when it comes in at a steady and manageable pace. - Jeff Daniels from the HBO series opening "the Newsroom"; quite a speech.